Author of When Will Jesus Bring the Pork Chops? 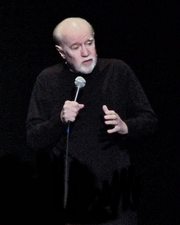 George Carlin was best noted for his black humor and for his comedy routines blending a complex of politics, the English language, psychology, religion, and taboo subjects. Anyone who was conscious in the 1960s-1970s will remember his most famous routine, "The Seven Dirty Words You Can Never Say on Television." George Carlin is currently considered a "single author." If one or more works are by a distinct, homonymous authors, go ahead and split the author. George Carlin is composed of 3 names. You can examine and separate out names.